Thanks to users sbadger and lurkio on the stardot forum, I’ve been reunited the original BBC BASIC one-liner that begat 2d Star Dodge/Stardodger: Asterisk Tracker! 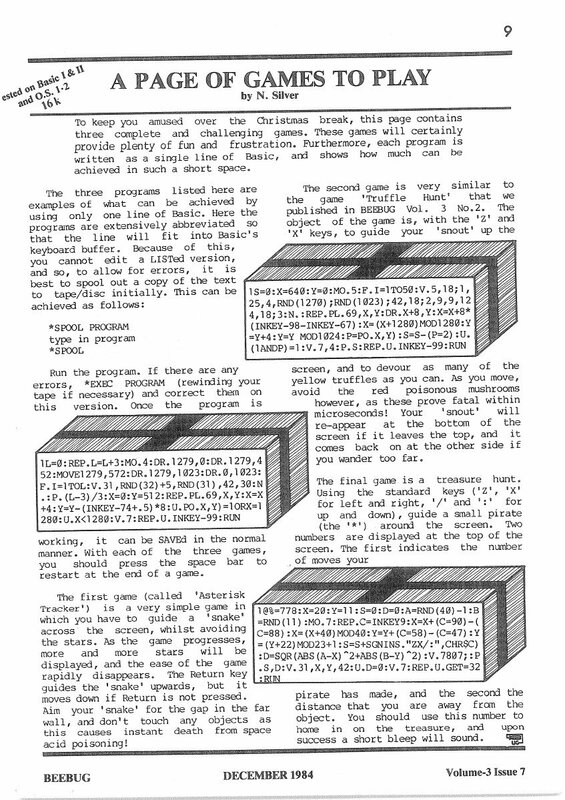 It was published in the December 1984 edition of BEEBUG Magazine (vol. 3, issue 7; page 9) and is credited to N. Silver. 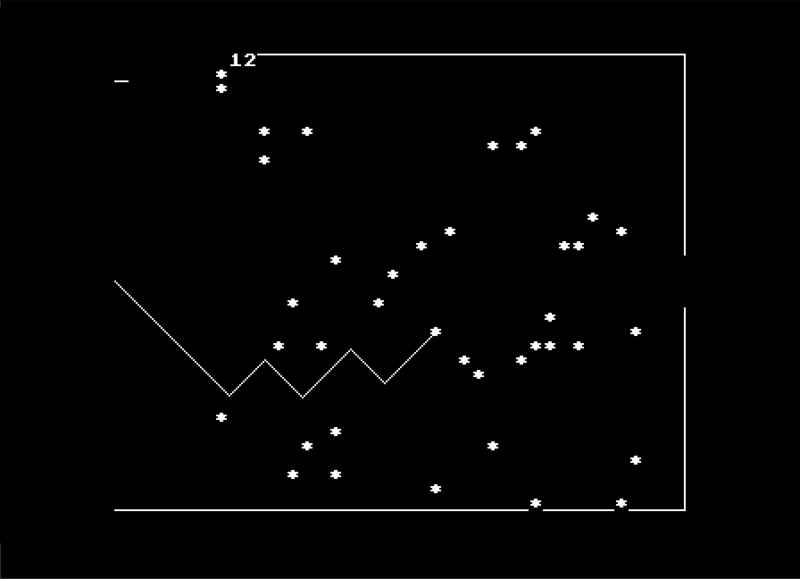 The first game (called ‘Asterisk Tracker’) is a very simple game in which you have to guide a ‘snake’ across the screen, whilst avoiding the stars. As the game progresses, more and more stars will be displayed, and the ease of the game rapidly disappears. The Return key guides the ‘snake’ upwards, but it moves down if Return is not pressed. Aim your ‘snake’ for the gap in the wall, and don’t touch any objects as this causes instant death from space acid poisoning! It’s pretty amazing that three type-ins could fit on a page: especially when you consider that the BEEBUG magazine was A5! If you want to play it (and who wouldn’t? We wasted days on this game) you can either run this Asterisk Tracker alone in the browser: Asterisk Tracker, or lurkio has combined them into one, and put them here: Beebug One-Line Games (Asterisk Tracker, a Truffle Hunt clone, and a treasure hunt). I just wish Graeme Smith were still with us to play this.